The Empire of Chaos, today, is not about complacency. It’s about hubris – and fear. Ever since the start of the Cold War the crucial question has been who would control the great trading networks of Eurasia – or the “heartland”, according to Sir Halford John Mackinder (1861–1947), the father of geopolitics. 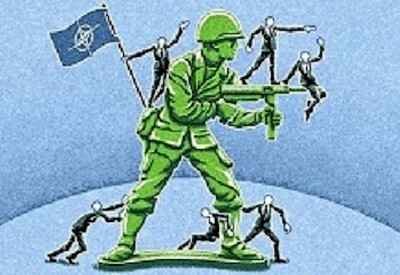 In parallel, on our way into a full 15 years of the endless neocon war against independent states in the Middle East, the Pentagon will be turbo-charging an unlimited expansion of some of its existing bases – from Djibouti in the Horn of Africa to Irbil in Iraqi Kurdistan – into “hubs”.